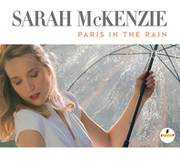 After the great success of Sarah McKenzie's 2017 disc, Paris in the Rain on Impulse! Records, the 31-year-old pianist, singer, and composer returns with the poignant, Secrets of My Heart. The former disc opened more opportunities for McKenzie to perform around the world in such far away places as Brazil, Korea, Japan, and also established her in the United States. Its title song became one of her signature tunes and is one of the highlights of her live shows. "Traveling was something that I really had to adjust to," McKenzie says. "In the beginning, it is very exciting. I often describe it as going into a magical world; it's stepping off reality and going into this world that's so unreal. Then you come home, and all of that activity stops. It's been a world of extremes." In support of this album release McKenzie has been travelling up the West Coast, from San Diego to Seattle, visiting radio stations along the way. 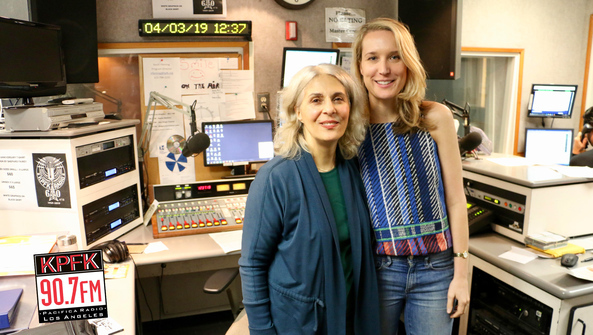 While in Los Angeles, the pianist / singer stopped by KPFK's Global Village Wednesdays wYatrika Shah-Rais today, April 3rd. Listen to the attached segment.